Alex Raisbeck talks - Chapter II - LFChistory - Stats galore for Liverpool FC! "The very picture of a man was this. Beautifully made, possessing perfect movement when in action, and "golden topped" this flaxen-headed athlete at once became the cynosure of all eyes, both at home and abroad. The work he got through was amazing, and particularly in defence." - "Giants of the past" in the Everton match programme in 1938. Just once in a while you come across something so important that relates to the history of Liverpool Football Club that it makes your heart race. You can't expect every Red to be as thrilled so all you can do is emphasize its importance. 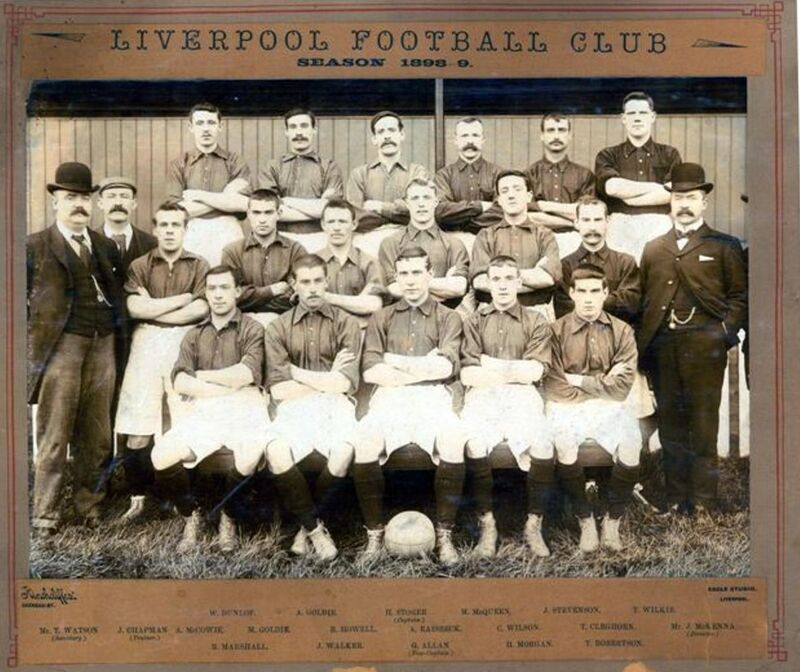 A first-hand account of Liverpool FC's daily life in the club's first two decades virtually did not exist and neither a direct quote from the club's first superstar; "the silent man of football" - one Alexander Galloway Raisbeck. When searching through the British Newspaper archive in January 2013 I discovered a small announcement in the Dundee Courier on 19 March 1915 of a series of articles by "Alick Raisbeck" that were to be published in the Weekly News. The problem was now to find this paper that was being referred to so I sought the help of Steven Horton who is an expert in that field. He tracked the Weekly News down to a library in Dundee and got the able staff there to scan these articles for me. This series amounted to gold dust in my estimation and certainly to other Reds who are interested in the formative years of our club and the life of this man, whom I rate so highly that I believe he deserves to be mentioned in the same breath as Elisha Scott, Billy Liddell, Kenny Dalglish and Steven Gerrard as the outstanding figure at the club in his era. 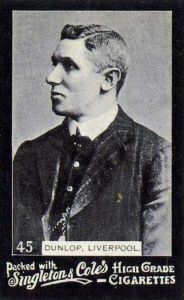 Raisbeck moved from Scotland to Liverpool when the club was only six years old, in 1898. In this series he records his impressions of manager Tom Watson (the longest-serving manager in LFC's history) as well as his teammates, who were clearly often up to no good, and offers great insight into what influenced the outcome of the most important games in which he participated. He notes how well the club was run but does not refrain from criticising the board if needed or even reveal his own weaknesses which makes his articles especially interesting. The first article focused on his upbringing in Scotland, but this one tells the story of how he joined Liverpool, met his best mate in football, the dressing room joker Johnny Walker and led the club to its first League championship. "I remember when I first went to Liverpool I felt a bit shy and diffident. After all I was, after all, only a laddie, and a Scottish laddie at that. Although I had a guid Scottish tongue in my head, I did not let it wag too freely, the ‘gift of the gab’ not being mine. But when I got to Anfield I was received with open arms, and found myself in the centre of friends and brothers, maistly Scottish. I can tell you that I felt at home right away. Just let me mention one or two of the Scotsmen in the Liverpool team. There was Geordie Allan at centre and Barney Battles, two of the finest-built men who ever figured on the football field, and who, alas! have now reached the bourne whence no traveller returns. Then there were the brothers Goldie, and Willie Dunlop, all Ayrshire callants; Hugh Morgan, Robertson, Cleghorn and ‘Matt’ McQueen." "Last, but not least, was Johnnie Walker, my special pall.’ Johnnie, I make bold to say, was the most splendid fellow I met during the whole of my professional career. As a practical joker Johnnie took the biscuit. He was simply unique and up to all manner of tricks. There was one prank of his which I never can recall without chuckling. 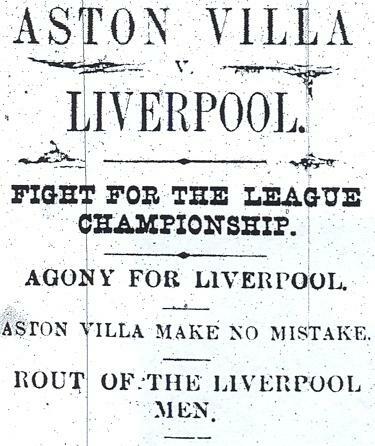 It happened during my first season at Anfield, 1898/99. For a whole twelve weeks we were in special training quarters at Fairhaven Hotel, Annsdale, near Blackpool and a right jolly time we had, I can tell you. I should explain that a fine “swanky” travelling bag that belonged to Billy Dunlop rather took Johnnie’s fancy. In fact, the bag was the envy of the lot of us and Billy used to be chaffed frequently about his mashing around with this king of bags. Billy only kept it for swell occasions and when we went off on the weekends he always left it behind. This and the fact that the painters were in the hotel at the time, suggested to Johnnie Walker’s fertile brain a brilliant idea. He came up to me one day and remarked casually “It’s a braw bag that o’ Billy’s.” “Aye, it is a braw bag,” I replied. “We’d be thinking it would be a’ richt if we had yin like it oorsels.” “True, Alec, true,” said Johnnie, his eyes twinkling. “But, dae, ye ken, I think we could make that bag a bit brawer yet. Come here.” And straightaway he marched me off to Billy’s bedroom. There was the bag and its owner not in sight. And in adjoining room were strips of wallpaper and a pail of paste! “Now, old man, don’t you see how the braw bag’s gaun to be made brauwer?” I did! And then we set to. In less time than it takes to tell that bag was transformed and in all the glory of its garish colours it awaited the arrival of its proud owner on the following morning. I can tell you we had a good laugh at Billy’s expense but he took the joke in good part and his bag was none the worse for its artistic 'overcoating'. " "While I am on this subject of practical jokes and of Johnnie Walker in particular, I must tell you another incident which took place at the same hotel and which was responsible for upsetting the equilibrium of our genial trainer Jimmy Chapman. I met Johnnie out on the sands one day picking up small pebbles. I didn’t think he was anything of a geologist, so I wanted to know what he was doing, but he put me off and refused to tell me. That night, however, he let me into the secret. And when we all went upstairs that evening none of us could get into our bedrooms. Johnnie was not among us - and I only knew the reason why - but as his door appeared to be locked too nobody thought anything about the matter at first." "Well, I can assure you a fearful rumpus arose in that hotel that night. None of the bedroom doors would open and sixteen angry men stood on the landing threatening all sorts of vengeance on the “idiots” and “fools” who had locked them out. Nothing on earth was apparently able to move these doors. The row was tremendous and the proprietor of the hotel appeared on the scene anxious to know what all the racket was about. But the most comical figure of the lot was Jimmy Chapman. By the time we had been standing on the landing for over half an hour and Jimmy’s wrath was rising with every passing moment. He was a strict disciplinarian and was putting us through a rigid training, so that the fact that we were being kept out of bed all this time was very irritating to him. Jimmy was a very decent, douce, good-living man, but I rather think he recalled all the profanities of his boyhood days as he breathed out threatenings and slaughter on the “blithering asses” who had “done” his players in this way. I, who was in the secret, was beginning to feel uncomfortable, for the joke had just gone far enough, yet Johnnie, lying in his bed behind the only door that was really locked, chuckled silently, but never said a cheep! Then quite suddenly it dawned on the lads that Johnnie was absent and immediately he was suspected. With that someone discovered that the doors were not locked at all, but had been jammed and held fast by tiny pebbles rammed into the woodwork near the locks. But even after this discovery it took quite a long time for some of the doors to open, as the stones had become embedded in the soft wood. I can tell you some of the boys quite earned their repose that night!" Alex Raisbeck was said to be the best centre-half in Scotland so he was a real coup for Liverpool, who reached the semi-finals of the FA Cup for the second time in their seven-year history in his first season. Ahead was a monumental tussle with Sheffield United to have a chance to fight for the FA Cup, that was the biggest accolade in English football even counting the League trophy itself! "That first season with Liverpool – to get back to serious business now … was an ever-memorable one. Four times did we play Sheffield United, three times we had them beaten and yet they entered the final and we didn’t. Let me explain: In the first match of this great and long-drawn-out tussle we played on the Notts Forest ground and were leading 2-1 with about a quarter-of-an-hour to go. Then to surprise of everybody on the field Needham equalised by a shot from the touch-line which sailed in the most miraculous fashion into our goal. I think that was one of the luckiest goals I ever saw scored and I have seen a few lucky ones in my day and generation. We were so flabbergasted with what had happened that we scarcely could put forth any enthusiasm and the game ended in a draw." Liverpool line up against Sheffield United with Raisbeck fourth from the left. "We were sent to Bolton for the replay. That was a game I shall remember to my dying day. The Anfield lot were dead set on the Cup and we started off in grand style. About ten minutes from time, when we were leading 4-2, Tommy Robertson after a magnificent run almost the whole length of the field, whipped the ball past big Billy Foulkes, who hadn’t an “earthly” with the shot. But guess our surprise and disappointment when Mr Kingscott, the referee, adjudged the goal offside. So sore did we feel over this that it seemed to knock us off our game. After all, a small thing only is needed to discourage you in the field and it was galling to see this brilliant bit of play going for naught." 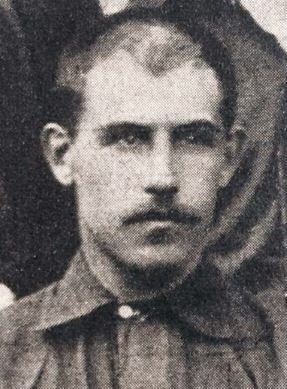 The first semi-final ended 2-2, with the second resulting in a 4-4 draw after Liverpool dropped a two-goal lead: the captain and keeper Harry Storer the main culprit for that disaster. The third game was disallowed after Liverpool led 1-0 as Raisbeck explains. "The next replay was a bit of a fiasco. It took place at Fallowfield, Manchester and after we scored a goal the crowd broke in. I need not add that it was not Liverpool’s supporters who were the sinners! Had this game gone on I do not hesitate to assert that we would have won easily. At half-time Thickett and Morren of the United were both crippled and we had the elements in our favour. But by this time the crowd had again broken in and though we were anxious to have the game continued to the bitter end it was decided otherwise. And perhaps it was just as well, for the attitude of the spectators was, I must say, ominous. Well, then, this was our third game and the third time we had been robbed of the sweets of victory." The fourth game ended 1-0 in Sheffield United's favour and Liverpool's cup dream was in ruins and Raisbeck, Johnny Walker and Bill Goldie faced the FA's disciplinary board. "I shall not detail the last game which we played with the United. Suffice to say that we were robbed of a sure goal, the ball being twice over the line in the course of a melee while one of the goals scored by United was easily yards offside. However, we had to abide by the referee’s decision, but we were not feeling very happy about the matter and this leads me to relate the circumstances which for the first and last time arraigned me before the football tribunal of England. The referee was somewhat severely jostled as he was leaving the field of play and turned to me, and thinking I was the Liverpool captain, demanded that I should give him the names of the players who had jostled him. This I could not do in any case, for I did not think any of our players had had anything to do with the demonstration against Mr Kingscott. So I informed him pretty sharply – for I was considerably nettled, that I was not the captain and I had no information to give him. For this I was reported and duly made my appearance before the “Fathers”. To be sent “upstairs” is no desirable experience for a player who has his own reputation and the honour of his club at stake; and I am thankful to say that I was adjudged innocent. So, likewise, was Johnnie Walker. But Willie Goldie fared ill. And I have no hesitation in saying that he was as innocent as we ourselves were. Willie, however, came from Hurlford and he was excited that night, and moreover, when he was excited he was apt to stutter. Now, when a Hurlford man speaks at any time – especially a genuine Hurlford laddie like Willie Goldie - it is not always quite easy for Scotsmen even to understand what he is saying. And in this case Willie was excited and his stutter was more pronounced than usual. I tell you I laughed myself sore when I heard those English Directors examining, cross-examining and re-examining Willie. I am positive to this day that they never made out one word he said, and because poor Willie spoke the braidest o’ the braid Scots, accentuated by a slight impediment, he was suspended to the end of the season! It was hard cheese, but Willie, though he had a grievance, bore it with guid Scottish forbearance." Although we failed to gain the League championship in this ever-to-be-remembered year it was not until the last game with Aston Villa, who were neck-and-neck with Liverpool, that the decision was arrived at. The Villa had a better chance that day. They took the field comparatively fresh whereas we were exhausted by the strenuous tussles of the last few weeks. The consequence was that we were badly defeated and the honours went to the Villa. With regard to the Liverpool team a rather strange thing happened. After our most successful season we entered on the following season in full expectation of sweeping the boards. But we didn’t. Not ‘arf. It took us all our time to escape the bottom of the League. We lost eight League games right off the reel. There was some chaffing at Anfield I can tell you! Every week we thought we are going to get the “sack” but we got through all right. The strange thing about it was that we fielded practically the same team as ran into the Cup semi-final and were runners-up in the League. There was one change only. We lost Geordie Allan, who died during the summer months, and Sam Raybould came to us from New Brighton Tower, a team in the Second Division then. But everything went against us and we had an uphill fight to avoid relegation. The following season we won the League for the first time. That was the way with Liverpool. We always were very good and near the top position or we were very bad and had to struggle to keep our place. We steered no middle course at Anfield. In all my eleven years with the “Reds” we were always fighting – fighting to land the top place or fighting to get away from the bottom. And I enjoyed it. It’s the salt of life to have something to play for, and it’s a good job that even the best team cannot command success, no matter how much they deserve it. To win the English League championship I consider the severest test any club can be put to. To win any league competition means, of course, a strenuous life, but I think that in England the course is very much harder than in Scotland. I’ve gone through it, so I ought to know." "Did I ever mention that I was captain of Liverpool from the first day I donned a red jersey until I cast it off ere coming to Scotland? – well, as skipper of the team I had undoubted responsibilities. The position of captaincy was none of my seeking and very often it was not to my liking either. Time and again during my career I asked to be relieved of the job, but I was told to ‘ca awa’; ‘you’re doin fine.’ At least that was the meaning of the Directors, although that was not, as can readily be understood, the language used." "I should imagine there was a crowd of between 50-60,000 packed in front of the Central Station"
"What a night after the match! We got a great send-off at Snowhill Station by the Brummagen folks who were good enough sports to cheer us off as League champions, but we were unprepared for what was waiting us at Liverpool. I should imagine there was a crowd of between 50-60,000 packed in front of the Central Station, and right along nearly as far as Lime Street. The street was literally black with people, and in the time-honoured way the horses were dispensed with and our brake practically carried along by willing hands to our headquarters at the Sandon Hotel. As we went along the crowd yelled for me to make a speech from the brake. I was not to be found, however, as I found it convenient to lie low behind some of the others. Speechmaking was never in my line." Next week: The terrible accident at Ibrox that rocked Raisbeck's world and the salary cap that ruined Liverpool's progress. Written by Arnie ([email protected]) - Copyright LFChistory.net - Thanks to The Unofficial Museum on Facebook for cigarette images. This game gives one a fair idea of the ups and downs of football and how just a very small little thing will adversely affect the game of a man or a team. Up to this time we had been playing with great vim and determination and even our opponents sensed that victory lay with us, for Johnson, the right half of the United, remarked to Morgan and Robertson after we had put on our fourth goal that the game was ours and hoped that we would have good luck in the final and win the Cup! But, “there’s many a slip” as the proverb has it and so it proved in this instance. Our keeper, Storer, appeared to lose his nerve and in the course of a melee near goal Sheffield got through. Then, playing desperately, they returned and with only four minutes to go Needham gained the equaliser. Both goals might have been saved, but then, luck of this kind is all part of the game. I felt sorry for some of our supporters on this occasion. Many of them had left the field when the score stood at 4-2 and they had rosy visions of a visit to the Crystal Palace and a triumphant return to Liverpool with the coveted Cup. You can judge how disappointed they were when they learned what had actually happened.